The Cank: 12th Century Water Cooler? 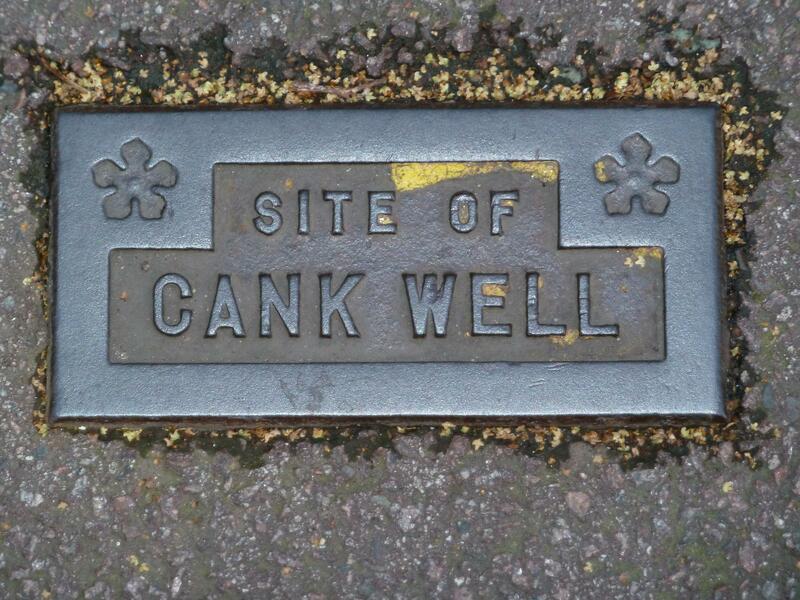 Cank Street, Leicester, is a well-known thoroughfare near the Market, but do you know the origin of the name “Cank”? 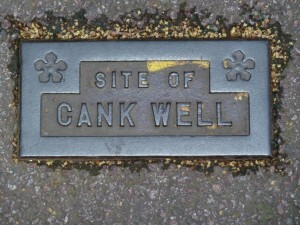 According to a brass plaque near St Martin’s, the name refers to “The Cank”, a well first recorder in 1313 AD, and is thought to be a dialect word meaning “gossip”. 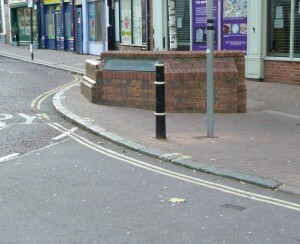 A small plaque is set into the road marking the original site of the well, now long gone. 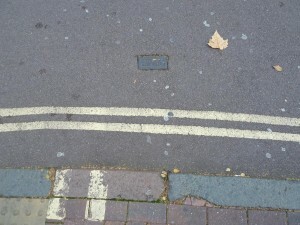 Such a tiny marker is easily lost amongst the manhole covers, hydrants and drains, but a careful search of the area will find it. 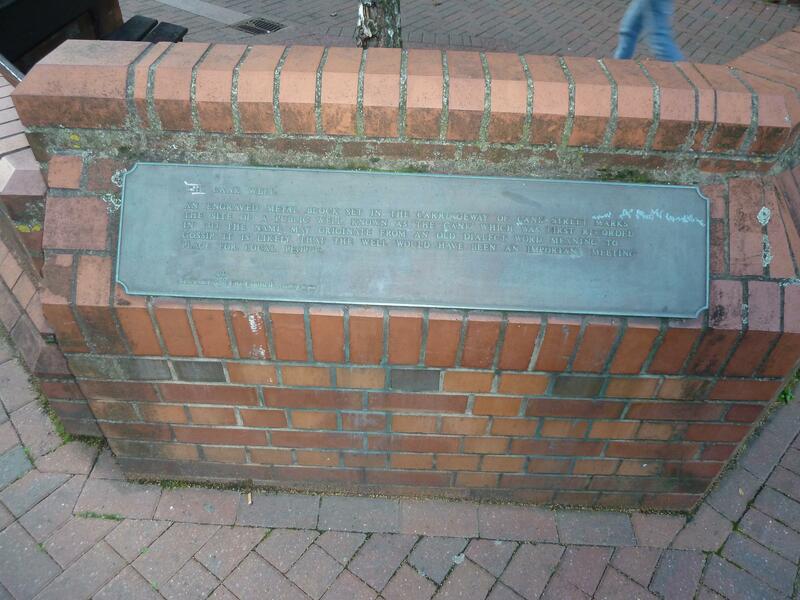 It seems a shame that The Cank is not better known, and despite St Martin’s being a popular area, most people will walk past the plaque, or even sit in the seating that it is mounted on the back of, without even noticing it. From outside the Olde Sweet Shoppe, you can view both plaques, if you know where to look. So next time you are out and about in Leicester, why not take time to walk along Cank Street (I suggest starting from the Clock Tower so that you can enjoy the newly re-opened Silver Arcade), and see if you can spot the site of The Cank? If you do, you can reward yourself with a relaxing drink at the nearby St Martin’s Coffee Emporium! This entry was posted in History, Leicester and tagged Cank Street, gossip, history, Leicester, water cooler, well on October 29, 2013 by The Crystal Wizard. Called in to the New Walk Museum, Leicester, today. 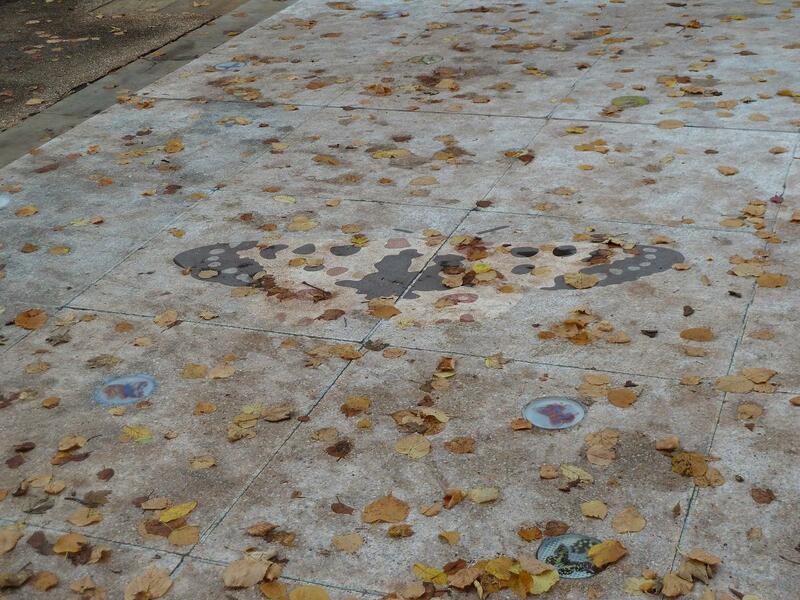 More on that later, but outside, the path has been dotted with butterflies! 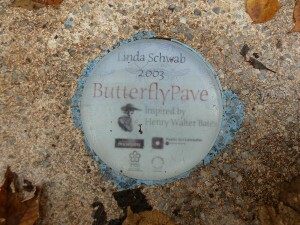 The pavement around the entrance has a couple of dozen inset glass circles, each with a butterfly or two in it. There are many varieties shown, and also the pavement itself has butterfly designs built into it. 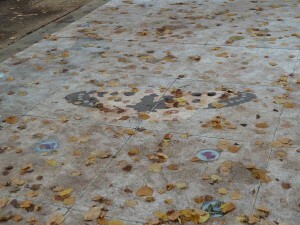 The overall effect is very captivating, and personally, I think the Autumn Leaves add to to it, rather than take away. So there you go. Butterflies. Enjoy! This entry was posted in Art and tagged Art, Butterflies, New Walk, Pavement on October 25, 2013 by The Crystal Wizard. The Mother(board) of all Art! I’ve had my P.C. Wizard hat on most of today, up to my elbows in dismantled computers. In between cursing the components for their lack of cooperation and scraping my knuckles on solder-spikes, I took a little time to examine the Art to be found inside a computer case. I quite like the connector-plate, with its regular rows of plugs and sockets, with their tiny numbers and colour-coded pattern. These plates have changed many times over the years, while keeping within certain form-factor limits, but have always had a certain charm. This set of capacitors, regulating voltages around the circuit board, sit in a neat row, but their regularity is offset by the cross-cuts twisting at different angles. An artefact of the manufacturing process, this adds an organic twist to an otherwise sterile, mechanical scene. 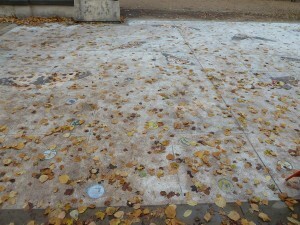 The tracks leading between components have to be precisely laid out, never touching, and never crossing. 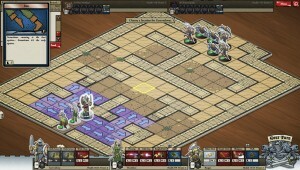 Acute corners are avoided, keeping to 45′ wherever possible, as the tracks wind their way across the board. 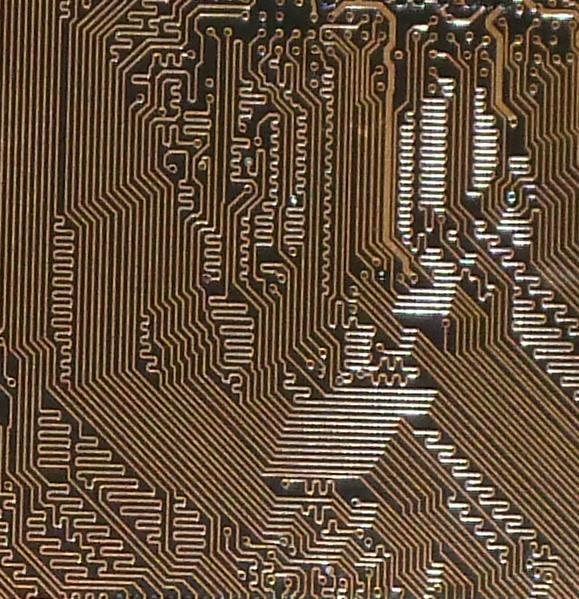 Probably my favourite view of a motherboard, this close-up shows the emergent patterns that form from computer-generated layouts, defined by the locations of components and the connections that must be made. 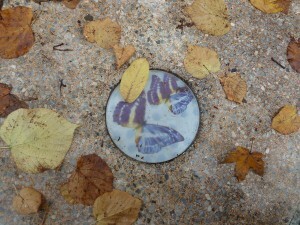 Have you noticed any emergent art, in technology or elsewhere? What is your favourite gadget, when viewed close-up? Or does the whole idea of looking closer at Technology repel you? This entry was posted in Art, Function, Technology and tagged Art, close-up, computers, emergent, tech on October 6, 2013 by The Crystal Wizard. 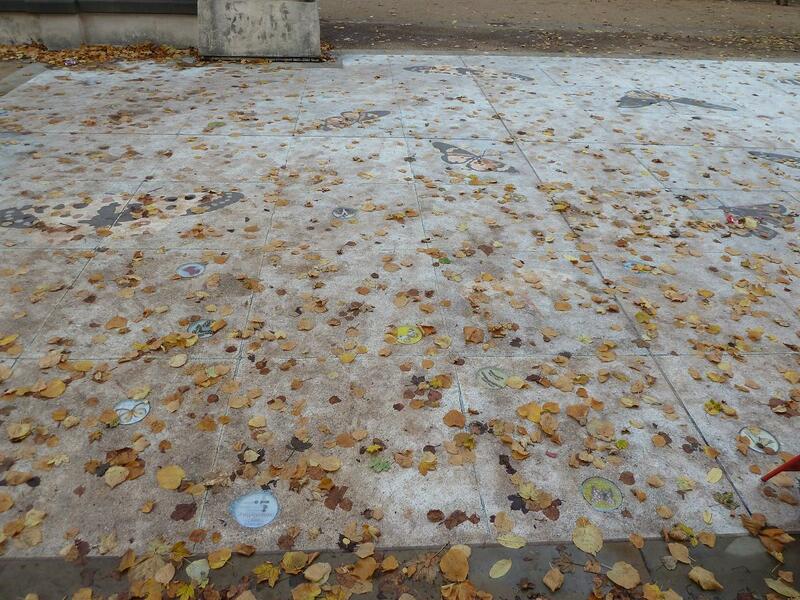 OK, I did find some art, in the end! BBC Alba are showing the World Pipe Band Championships, featuring bands from Ireland, New Zealand, Canada and, of course, Scotland. Broadcast from Glasgow, the 12 Finalists belted out their finest Pipe ‘n’ Drum tunes. Won by the Northern Irish “Field Marshal Montgomery Band” for the third year running, there was a fantastic display of music! Now, I’m no connoisseur of bagpipe music, but I thought tonight’s performance was very good! And if a bunch of guys in skirts blowing into sheeps innards while their mates bash at stretched pig skins isn’t Art, then my name’s not Mary Pickford! This entry was posted in Around The World, Art, Music and tagged Art, bagpipes, music, pipes, Scotland on October 4, 2013 by The Crystal Wizard. Yes, We have No Art. We Have No Art Today. I tried, but I really didn’t get any time at all to consider Art today. I spent this morning wrestling with my online shop. I knew the upgrade would cause trouble, so I made sure to back it up first. And now, lo and behold, it will not let me log in! And it won’t let me reset my password. So, as usual, I have to email my Website Host on a Friday afternoon with technical difficulties! I’m sure they think I do it on purpose. I’m resigned to it not getting fixed until Monday. So long as it gets fixed! People can place orders, and I hope it will email me a notification, but I can’t do anything about it! This afternoon was spent reinstalling a customer’s computer (as my alter-ego P.C. Wizard). Fantastic machine: Intel i7 CPU, 32GB RAM, 480GB SSD System drive, 240GB and 120GB SSD storage drives, 3TB SATA storage drive. I forget which AMD GPU, but it was a monster! OK, that’s enough techno-babble. 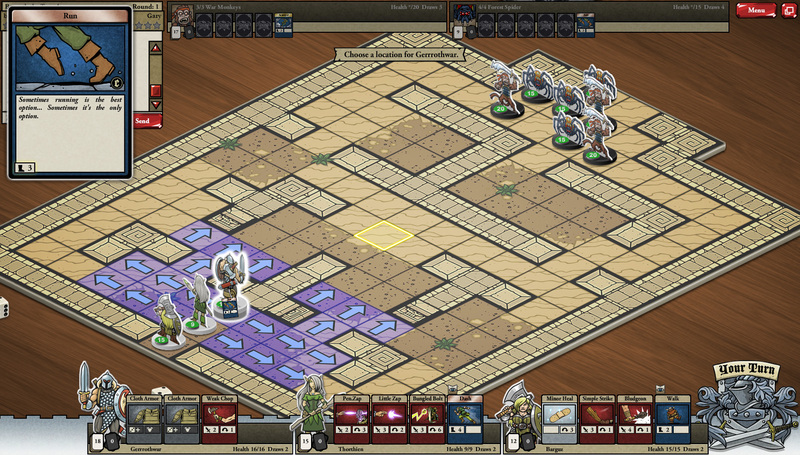 I got it done in the end, but despite it being a super-fast PC, it took all afternoon. Just so much needed doing. 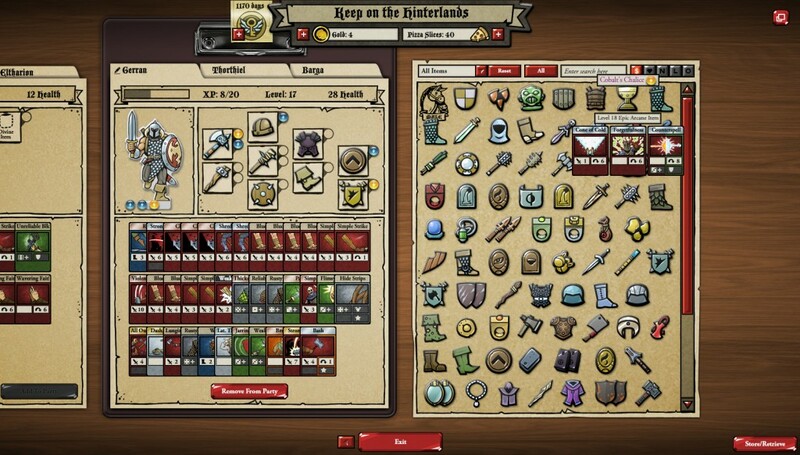 Then into town, sort out start-of-month and end-of-week monies, grab a coffee, and head home to sort out paperwork. Shop still glitched, so can’t do anything there. Quick call to sanitise another customer’s PC, after they’ve filled it with spyware, malware and other infections. Check into HootSuite to keep my Social Media Presence up to date … nope, their servers are down! And by the time I’ve got another coffee and checked my email, I’ve forgotten what I was going to post! So, its now 9PM, and I haven’t seen a single piece of Art today, unless you count the car-crash of a day I’ve had as some kind of “Performance Art”. If it is, I think the theme tune would be “Entrance Of The Gladiators“. “But now its the weekend!”, you cry, “Time to relax, enjoy yourself!”. As if! Another day of broken PCs tomorrow. At least I’ll be out in the countryside, and the Met Office has promised me a nice day. So you don’t even get a picture with today’s blog. No art. Nothing. Just me ranting about a long day. But there will be more Art soon, I promise! Let me know what sort of art you like, what you’d like to hear about. Even visit the Crystal Cave, if you dare! This entry was posted in Art, Behind The Scenes, Rant and tagged bad day, No Art, rant, website on October 4, 2013 by The Crystal Wizard.